S Grey leaf spot caused by Stemphylium spp. 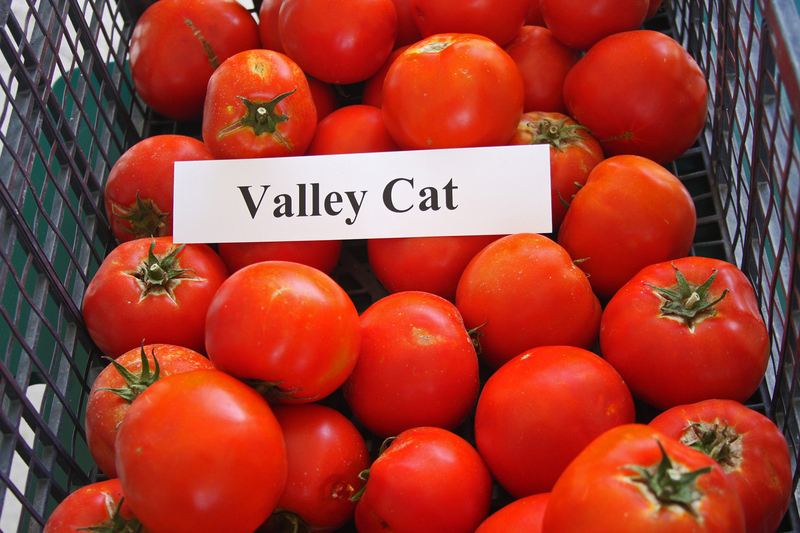 Have you ever wondered how some gardeners always harvest the first tomatoes of the season? 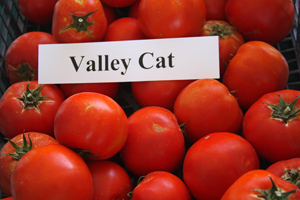 In most cases these “early bird” winners are growing their plants in containers prior to setting them out in the garden or larger containers when the soil and air temperatures have warmed up enough to support tomato plant growth and fruit setting. To "pot up" your transplants, fill a one to three gallon black plastic container with a high quality potting soil. Enrich the potting soil with a slow release fertilizer made especially for containers such as a 15-5-10 analysis or Osmocote . If an organic fertilizer is preferred, consider a 4-2-3 analysis at twice the rate. Be generous with the fertilizer; tomatoes, especially 'Dwarf Cherry Surprise', are heavy feeders if you want maximum fruit production. Since these varieties are short statured in growth, good fertility will be required to produce optimum yields. The key nutrient will be nitrogen. 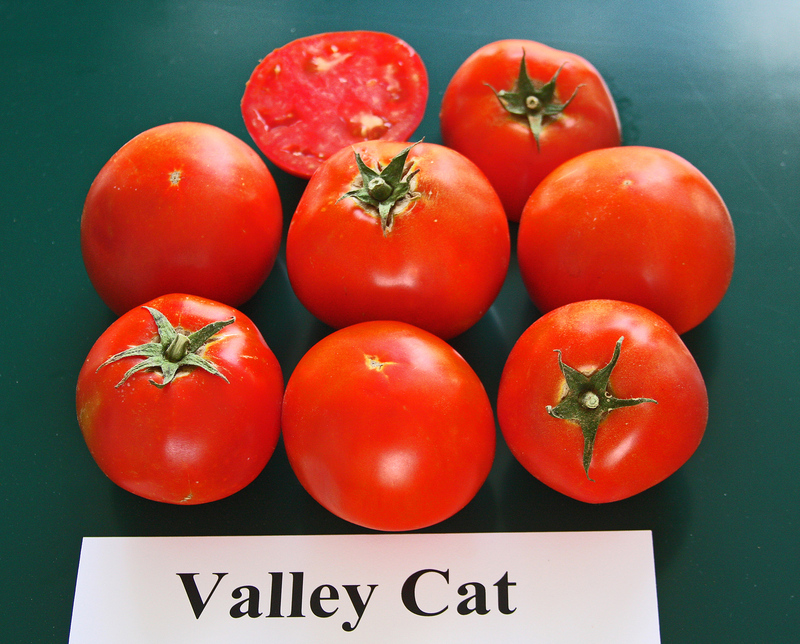 If adequate fertility is not maintained, the tomato bush will be small and produce much less fruit. Place the transplants in the container. 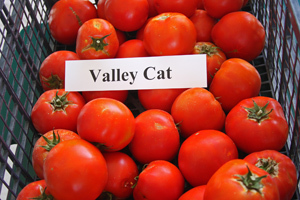 They can be planted deeply; tomatoes are one of the few plants that can tolerate deep planting. Roots will form along the whole stem. This is especially important if your transplants are leggy or top heavy. If you do everything as described, your "potted up" plants will be quite large and may even begin blooming by late March or April when they can be transplanted to the vegetable garden or larger container. NEVER let the plants to be transplanted set more than a few small fruit before moving to a permanent location. If fruit are allowed on transplants, the plants will be stunted when establishing them in the garden location. 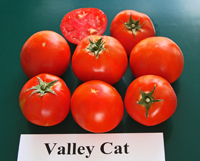 Do not apply organic mulches around tomato plants until early May when soil temperatures have warmed. Then mulch with an organic hardwood or cedar mulch. If the plant is grown in a container, be sure to water and feed every week with water soluble 6-12-6 or Peters 20-20-20 fertilizer. Drip irrigation is the best method to water. In about six to eight weeks, you should be harvesting tomatoes and be the talk of your neighborhood.